The Decorated Apparel Showcase is a stage located inside the exhibit hall dedicated to demonstrations and education. All sesions are sponsored by industry suppliers, and are FREE to all DAX attendees. No tickets required, just come be our guest. Sessions start every hour and cover things that are new in the industry or procedures for using cutting edge technology. Check out the schedule below and make plans to sit in on a free session while you are at DAX. Spark your apparel sales with the hottest products in apparel and heat printing. Join the Stahls’ educators to learn new products and heat printing techniques that will grow your business in 2019! Learn insights and exciting reasons to add promotional products to your business. SAGE will demonstrate the benefits of using the SAGE Total Access search tool when sourcing promotional products for customers. Explore the unexplored when embroidery & sublimation collide! Sublimation is fast & embroidery gives the finishing touch of class for outstanding results to dazzle your customers while taking your business to new heights. Save time and earn profits with TheMagicTouch OnDemand transfer printing solution. 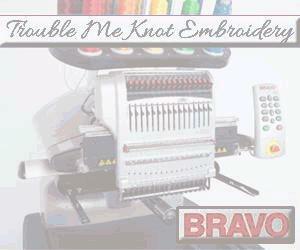 TheMagicTouch system allows you to transfer high quality digital images onto all types of fabrics and hard goods. This will cover he do's and don'ts of sublimation.What works with what and proper times and temperatures of products and all products available! 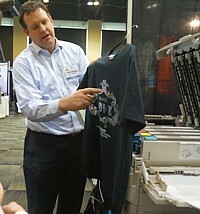 Many apparel decorators cite the investment of a vinyl cutter as the most profitable piece of equipment in their shop. Discover the importance of a vinyl cutter investment - and how to use it effectively to increase profits.